I've been wanting to get a tattoo for a while now, but being the most indecisive person in the world (I can't even decide on the colour of my earrings), permanently inking my skin somewhat scares me. What if I don't like it? What if its too big? How much is laser removal?! When I was younger, I was a pretty big fan of temporary tattoos - my favourite being Minnie Mouse on my ankle when I was about 7. These days, temporary tattoos don't seem to appeal to older people - at the age of 20 I just can't bring myself to get that lovely Minnie Mouse on my ankle again. So, imagine my excitement when temporary tattoo specialists Inky & Bear asked me if I wanted to try out some of their beautiful (and more mature!) hand-illustrated temporary tattoos! Finally, a chance to decorate my skin without having to permanently ink it. 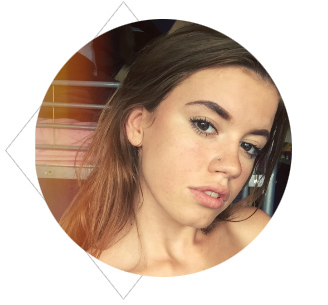 For those of you who are unfamiliar, Inky & Bear is an independent artistic boutique, founded by two sisters Laurie and Lily Gee, who manufacture beautifully detailed hand-illustrated temporary tattoos. Each tattoo is hand designed by the sisters, boasting intricate and striking detailing. Inspired by the planet, nature and animals, Inky & Bear designs range from simple woodland animals to magnificent mythical creatures, all rich in colour. Think mermaids, butterflies, fawns, unicorns, ladybirds... there is a design for everyone. 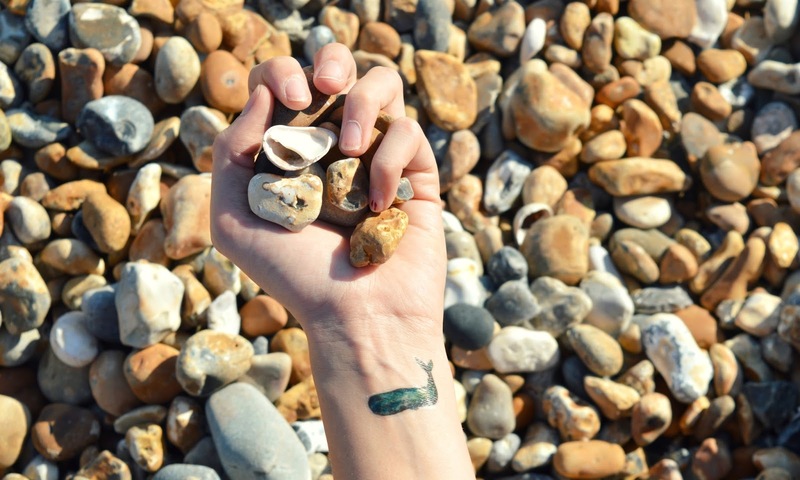 On a beautiful day in Brighton, I decided a trip to the beach and then the pier would be the perfect opportunity to try out the temporary tattoos (and to get Lewis on the pier... ha). The two designs I wore was a gorgeous elephant on my back and a small whale on my wrist. The designs are simply transferred onto the skin in exactly the same way that your typical temporary tattoos are - just peel the plastic film off, apply a damp cloth and press the design onto your skin, holding for around a minute. Super easy, super quick. After a couple of hours on the beach, a few hours on Brighton pier, dinner out and the walk back to Lewis's, my temporary tattoos were still looking as good as new and hadn't peeled or smudged (a problem I recall having with temporary tattoos when I was younger). 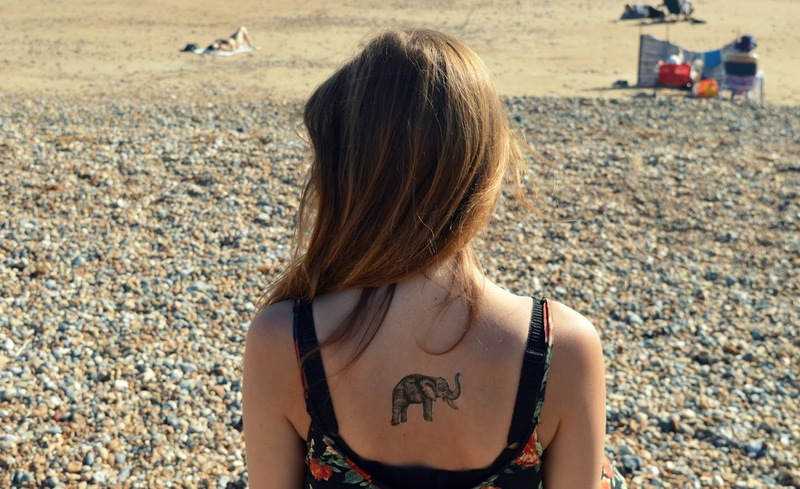 At the end of the day, the tattoos were super easy to remove from my skin - as the elephant was on my back I did not want it to rub off on my sheets, so simply peeled it off and there was no trace or stains left on my skin. Overall I was super impressed with the quality of Inky & Bear and can highly recommend them for anyone who wants to try out some tattoos without the hassle of permanent ink. These temporary tattoos would be perfect for festivals, parties and events - and they would make the perfect gift for a friend or family member too. The tattoos range from £3.50-£6.00. Have you tried Inky & Bear before? 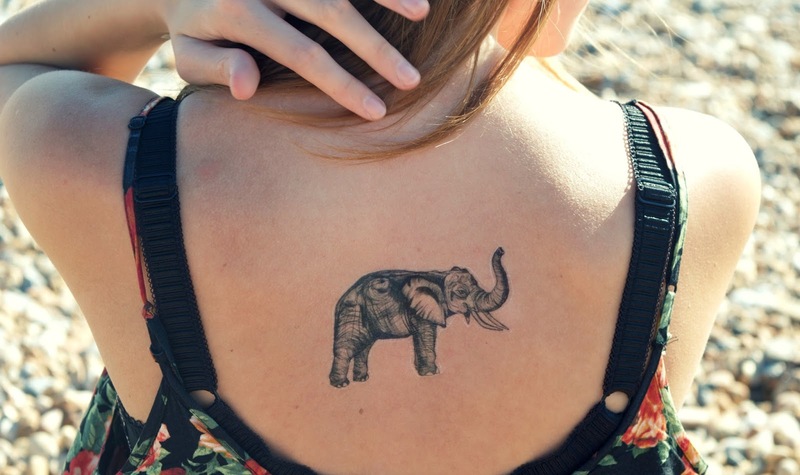 I absolutely love these, I can't believe how intricate the elephant tattoo is, it almost looks real! It is a brilliant idea for people who would like to have a tatoo but have not 100% set on one.. great way to test it if you can live with it.. Great idea and super cheap too! These are so cool, I am deathly scared of needles so a real tattoo isn't for me, but these would be great for a nod to the look. I have never heard of Inky and Bear before but I am super impressed that the tattoo stayed on for so long. Lovely design too! I used to love temporary tattoos when I was a teenager and they weren't even half decent. I like these pretty ones. Aw these would be fab for a one off event, love the elephant one! Those temporary tattoos look great, i'd never have a real one but I would consider wearing these. I would never have a tattoo done. I like henna though. I would be wiling to try a temporary tattoo though, as long as it comes off easily. These look so realistic. I love the elephant! wow these look like actual tattoos! And I love the elephant They aren't to pricey either and would be great stocking fillers! I'm not one for tattoos but if I could have a temporary tattoo that beautiful then I would definitely get one!